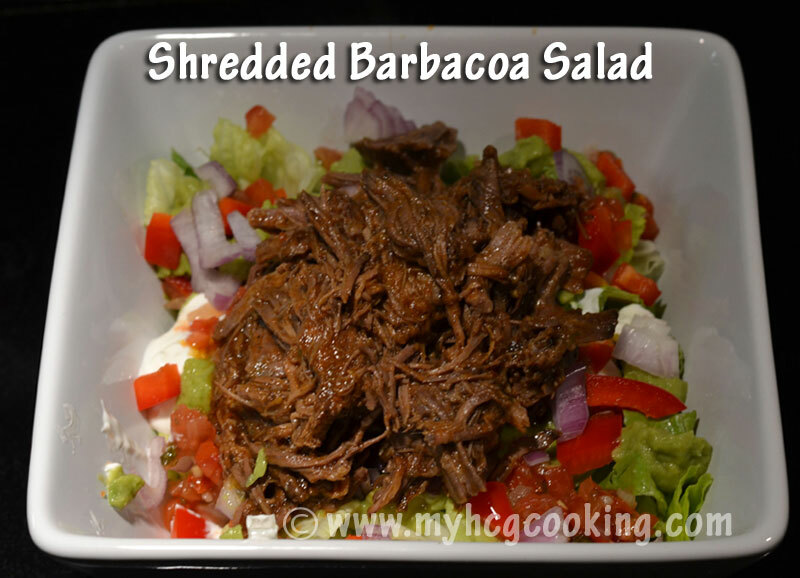 Leftover barbacoa is delicious on a salad! 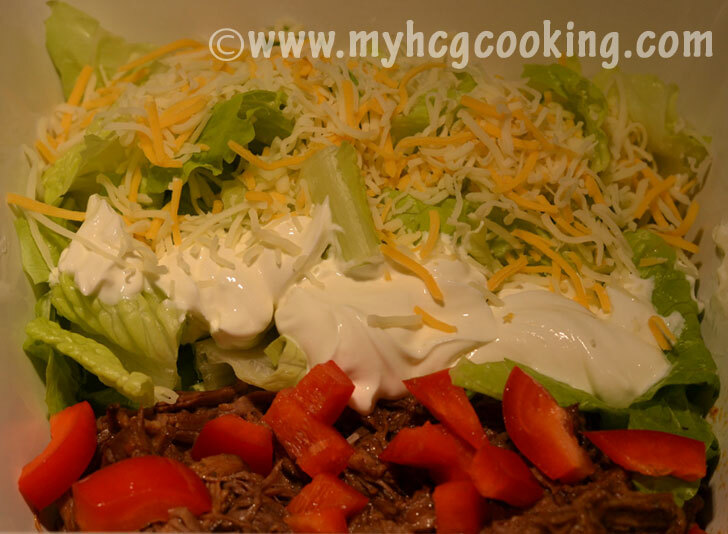 Like a taco salad only with a different flavor. Love it! Start with a chuck roast. Anywhere between 2-4 lbs is fine. I usually go for bigger because I like leftovers to make more meals. Cut it in half and trim most of the visible fat. 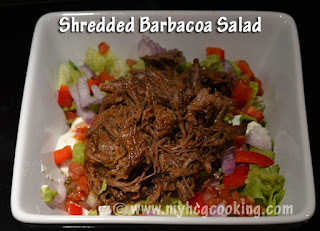 Place in slow cooker or instant pot. Pour the puree over the roast in the slow cooker. Pour about a cup of Beef Broth on top, and drop a few Bay Leaves. Cook on low or "slow cook" in the IP for 7 hours. When it's done, shred it with two forks and put it back into the amazing sauce in the slow cooker that was created during cooking. Keep on low for another couple of hours to really soak up the flavor of the sauce. Here is my husband's version of the barbacoa salad, all neatly organized. I just throw mine in the bowl. Ha. Thanks for posting, Lisa! I'm so glad you find it helpful!